Up next on my reviews is an audio round-up. It’s been a while since I listened to some of these books and I find that if I haven’t written anything down about the books then I am likely to forget things… But here goes! This has been on my radar for a while, after being shortlisted for the Women’s Prize for Fiction, and I thought it sounded like a fun read. At first I wasn’t sure about how the format would transfer to audio as the book is made up of a series of emails, letters, articles and messages and I thought it may get a little confusing. Happily, this wasn’t the case and I did get drawn in to the story. Semple captures perfectly the annoying superior voices of ‘soccer moms’, interfering in school life and judging other mothers. I thought it was a really fun book, and different too. It worked well in audio for the most part, although anyone who’s listened to the audiobook will struggle to remove the memory of the narrator screeching Oh holy night into their ears (in my case at 8 o’clock on an August morning. Not entertaining.) 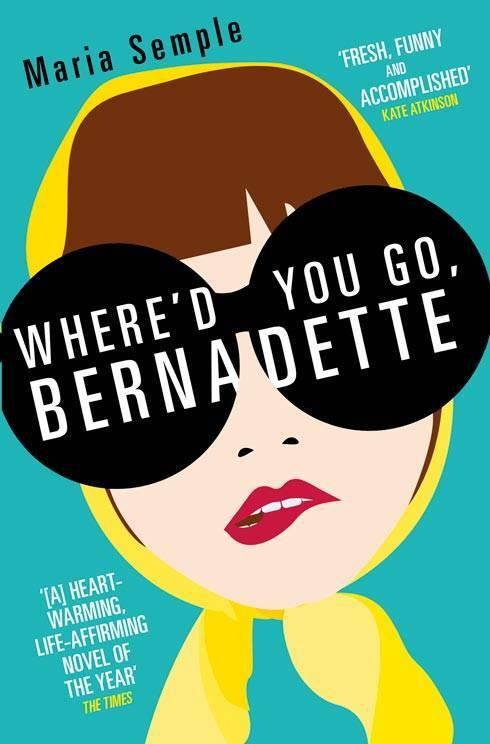 I loved Bernadette and her attitude to the know-it-all nosy mums at her daughter’s school, but was infuriated by her naïveté at times. I found her daughter Bee’s voice and attitude a bit immature to be 15, but this may be partly due to the fact that I had just read Jenni Fagan’s The Panopticon! This is a fun book and I have already recommended it to a few friends, and the format works really well with the story. I loved this book, and I am slightly disappointed that I didn’t read a physical copy as I think I may have enjoyed it even more. Ursula is born on a snowy winter’s night, and as the cord is wrapped around her neck she draws what will be the first of her last breaths. This is a story of multiple chances at life and explores that notion of ‘What if?’ which I find fascinating – how she gets 2, 3, 4 chances at getting things right, and the different consequences that seemingly inconsequential actions will have. The nature of the narrative being that it jumps back and forth meant I could sometimes miss things and find it hard to skip back to work out what had happened. Aside from that one bug-bear I did enjoy Fenella Woolgar’s narration, her voice seemed to work perfectly with the story (I loved her in the Stephen Fry adaptation of Vile Bodies by Evelyn Waugh, Bright Young Things). I think I will be reading this book again at some point! This is nominated for the 2013 Costa Novel Award – given that it has missed out on Man Booker and Women’s Prize for fiction accolades I think it would be a very worthy winner. I thought this book was wonderful as well, one of the most affecting books I’ve read this year. It’s a début from Hannah Kent, telling the story of Agnes Magnúsdóttir, the last woman to be executed in Iceland. The narrative focuses around the family charged with keeping Agnes as their prisoner before her execution, and involves Agnes’s recollections herself and those of the young priest trying to help her achieve some kind of absolution for the murder she has been accused of. Agnes is haunted by her past and memories of her lover Natan Ketilsson, who was brutally murdered in his own home. The story is compelling, all the more so as it is based on real events and that you already know how it must end. What I enjoyed in particular about listening to this book was hearing the correct pronunciation of Icelandic names and places – if I had been reading this myself I would have had some hashed guess in my head which can’t do justice to the music of the words. It’s a beautiful and moving book, and an interesting imagining of the last days of Agnes Magnúsdóttir. 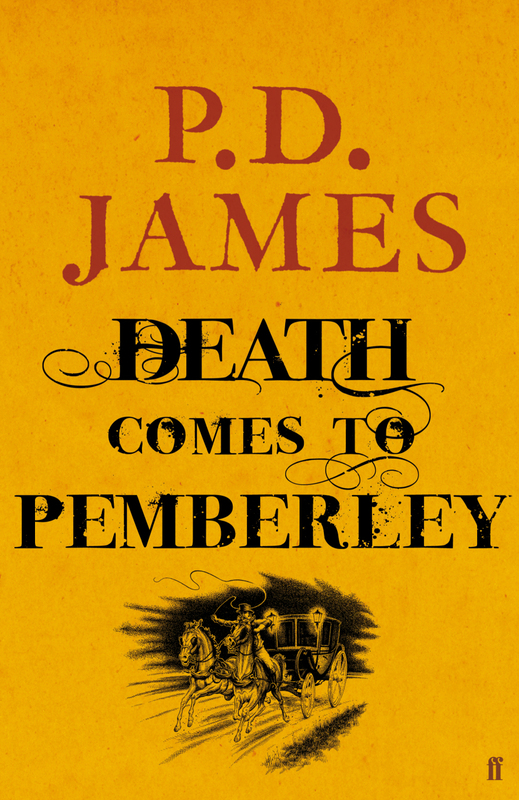 I chose this book as I thought it would be a light-hearted, Agatha Christie-esque foray into murder mystery, set at Pemberley with all of the characters of Pride and Prejudice. I can hardly begin to tell you how disappointed I was by this book. I found the first part tedious with its summing-up of everything that had happened in Pride and Prejudice and introducing the characters. Given that this book will appeal mostly to Austen fans, it all seemed a bit unnecessary and almost a way of filling out the book and it’s weak storyline. I didn’t even manage to finish it, abandoning it about 3/4s of the way through after enduring the tedious (again!) ramblings of the doctor, and the local constabulary. It completely lacked the sparkle and wit of Austen’s novel and seems like a weak spin-off. Lizzie Bennet featured far too little for my liking and everything seemed to be left to the men to sort out. I was sorely disappointed and wouldn’t recommend this at all…as you can tell from my other reviews, I’m not usually so vehement in my negative comments but this just didn’t work at all for me! I still have 5 credits left to go on my Audible gold subscription (which I won in a competition run by Granta Mag) and I want to choose wisely – I want books that will keep me entertained without being too heavy, with engaging stories. I like to have some room for my mind to wander as I mainly listen to them whilst walking to work and my brain is not always completely switched on and able to appreciate lyrical prose first thing in the morning! And so, onto the next audiobook… I am once again considering The Cuckoo’s Calling by Robert Galbraith (of J.K. Rowling’s pseudonym fame). I enjoyed listening to a crime story (Natural Causes by James Oswald) but having just abandoned a murder mystery I might need to have a rethink! Any suggestions? Autumn Reading Round-Up, part 1. I love Colm Tóibín. I loved his book Brooklyn and listened to a brilliant interview on the Guardian Books podcast which really brought the novel alive. 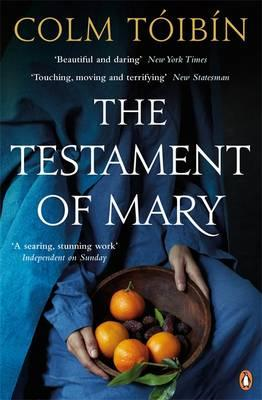 The Testament of Mary was shortlisted for the Man Booker Prize this year (which was won, in the end, by The Luminaries by Eleanor Catton). It’s a novella, a short little book that is more a monologue than a story as such. Everyone knows the story of the Crucifixion, but no one has really given Mary a voice before. I thought this book was very evocative, and perhaps it deserved more time than I gave it (I hurried through it all in one go one Saturday morning). The time and the place felt real and you really got a sense of the pain and miscomprehension Mary felt watching her son grow from boy to man to Son of God, into someone she could barely recognise. Part of me thinks this book went over my head a little bit, as so many people I’ve spoken to have thought it was wonderful. One to revisit and spend more time savouring, I think. I bought this book as I thought the idea of a time-travelling serial murderer being hunted down by the one victim who managed to get away sounded great. 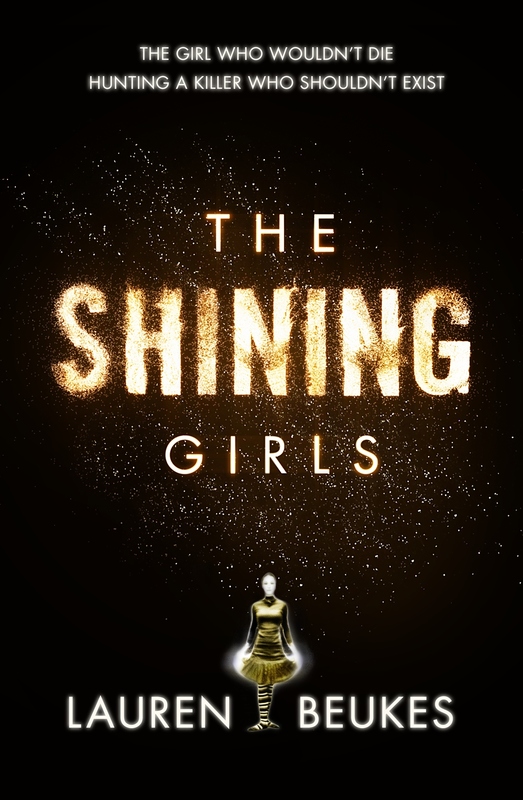 It was such an interesting idea and there were parts of it that I really enjoyed, the murderer Harper was intensely creepy, the house he lived in shifted and changed and spurred him on to kill more ‘Shining Girls’, and the stories of the murders were quite harrowing. The story was clearly well-researched and the Boston setting from the Depression era to the nineties changed and evolved. There was an intricacy to the plot, with clues and symbols dotted throughout the text, linking the women and the different times and places. Despite that, I was overall pretty disappointed by the novel as I found the main character Kirby (the one who got away) a little irritating and I found the love interest to be utterly pointless – it just didn’t serve the plot at all. This could have been a great book but the narrative featuring Kirby wasn’t as strong as the narrative with Harper and that really let it down as about half of the book was dedicated to each of them. 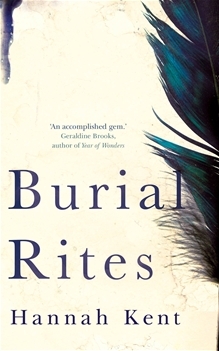 This book won the Women’s Prize for Fiction this year (also up were Life After Life by Kate Atkinson which I loved and will talk about in my audio round-up still to come). The action of May We Be Forgiven centres around one man, Harold, who is thrown in at the deep end when his brother is involved in an accident, his marriage breaks down and he has to look after his brother’s family. I don’t want to say too much more and give the story away, as the story was pretty crazy. It keeps you on your toes and the storyline goes down unexpected routes, involving family betrayals, adoption of an orphan and an elderly senile couple, trips to Disneyland, a gay love affair between a teacher and pupil, and a covert criminal rehabilitation scheme. It sounds mad when you write it down like this, but it works. There is something uplifting about the novel, in the way that Harold manages to pull together a family of sorts after his own have come undone, and the characters begin to find peace after some pretty traumatic events. I’ve heard that A.M, Homes earlier novel This Book Will Save Your Life is even better so I will look forward to reading that at some point soon. I have been meaning to read this book for soooo long. Ever since I saw the BBC TV adaptation and loved it, and then I started working at Canongate this still gleamed down at me from my bookshelf. I absolutely loved it, and it was just the type of thing I was looking for, a long weighty Victorian novel to get stuck into as winter starts to set in. I knew the story already but very much enjoyed the novel, it is the way the story is told that makes it so special, the way the narrator invites you in, whispering lasciviously in your ear and letting you peek through the keyholes into the underbelly of Victorian life that society tried so hard to keep hidden. The world that Faber creates is wonderful, bringing to life all of the sights and smells of all parts of London. The wordly-wise and smart Sugar (the prostitute at the centre of the novel) is an unforgettable character, and the innocent and dreamy Agnes (the wife of the man who hires Sugar as his live-in concubine) equally so. I’d also highly reccommend the BBC TV adaptation as it was wonderful too, and quite true to the novel. 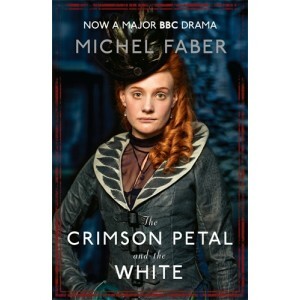 I rattled through this the couple of days after I finished The Crimson Petal and the White, as I wanted to know more about what had become of the characters. There aren’t any huge revelations, just a few little teasers and these short stories are a pleasing way to dip back into the Crimson Petal world if you’ve been missing it. I’m looking forward to reading Faber’s first novel Under the Skin very soon – there’s a film coming out of it next year starring Scarlett Johansson which has been getting very good reviews! I’ll have the next lot up tomorrow. What have you all been reading this autumn? It’s World Book Night tonight so I’ve written a little post on being a giver for the website of publisher Canongate Books, where I am lucky enough to work. I’ll be giving away the wonderful memoir Why Be Happy When You Could Be Normal? by Jeanette Winterson, an author who I greatly admire and one who has had an incredibly interesting life. I’m feeling nervously excited about being a giver, and my plan at the moment is to hand copies of my book out to people on the streets of Leith as that’s where I picked up my books. I’m hoping that this weather continues into the evening – rain showers have been making me nervous that I’ll be trying to hand out soggy books later on! Fingers crossed, and I’ll let you all know how it goes. I think the project is such a wonderful idea, a way of encouraging those who don’t read regularly to read something different and hopefully inspire them to discover different books. I love the special World Book Night editions that have been created as not only do they include the book in full, but also excerpts from other books by the writer, a poem on the back inside cover, and an excerpt from a book recommendation from the author themselves. 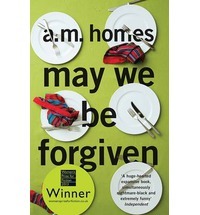 Jeanette Winterson’s choice is May We Be Forgiven by A.M. Homes. It’s on the shortlist for the Women’s Prize for Fiction this year and is a book I would love to read – duly added to my Wish List! If you want to find out more, you can read my blog post here. I have a few books to add on to my wish list – all inspired by reviews on other book blogs and prize lists that seem to be coming in abundance this month. 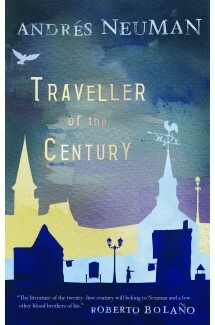 Searching for an inn, the enigmatic traveler Hans stops in a small city on the border between Saxony and Prussia. The next morning, Hans meets an old organ-grinder in the market square and immediately finds himself enmeshed in an intense debate—on identity and what it is that defines us—from which he cannot break free. Indefinitely stuck in Wandernburg until his debate with the organ-grinder is concluded, he begins to meet the various characters who populate the town, including a young freethinker named Sophie. Though she is engaged to be married, Sophie and Hans begin a relationship that defies contemporary mores about female sexuality and what can and cannot be said about it. 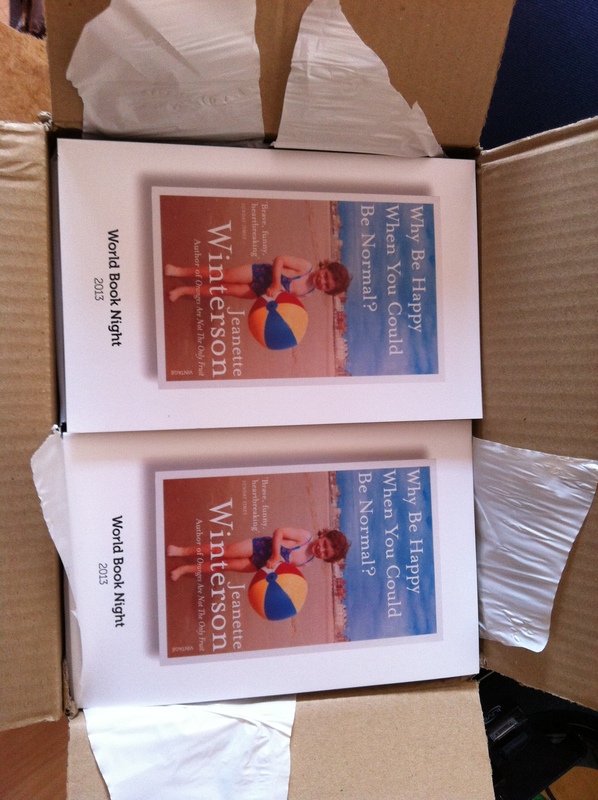 Read the review on Winstonsdad’s blog here. And see what else is on the shortlist over on the Booktrust’s website. This also leads onto another author involved in this year’s IFFP, as one of the judges. 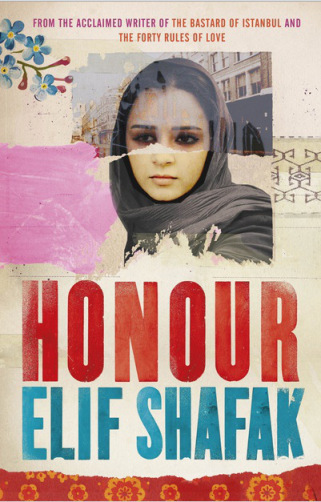 Elif Şafak is of Turkish descent and I am quite intrigued by her novel Honour. I actually read a review of this a month or so ago on JoV’s Book Pyramid and had mentally added it to my list then. I haven’t read any Turkish fiction and I would like to do so – I have visited the country several times and love learning about the language and culture of other countries – which is why foreign fiction is always so interesting to me. Turkey is the market focus country for this year’s London Book Fair (happening this week) so I expect there will be lots of people talking about Turkish fiction this year. There is also an interesting article in The Telegraph today which discusses Turkey, literature and censorship which you can read here. This book is also on the longlist for this year’s Women’s Prize for Fiction – the shortlist is announced this afternoon so I will be looking out for that! My mother died twice…. And so begins the story of Esma a young Kurdish woman in London trying to come to terms with the terrible murder her brother has committed. Esma tells the story of her family stretching back three generations; back to her grandmother and the births of her mother and Aunt in a village on the edge of the Euphrates. Named Pembe and Jamila, meaning Pink and Beautiful rather than the names their mother wanted to call them, Destiny and Enough, the twin girls have very different futures ahead of them all of which will end in tragedy on a street in East London in 1978. Read the review of Honour on JoV’s Book Pyramid blog here. These all sound like great reads – I’ll be adding them to my Wish List today! It seems like almost every other day that I come across another book that I want to read. I usually end up adding them to my ‘to-read’ list on Goodreads but I’d like to do this a little better and have a page on my blog where I keep a Wish List. I’ll try to include my sources too, as a little tip of the hat to the blog, or tweet, or article, or friend who brought the book to my attention. You can have a look at the beginnings of it here. 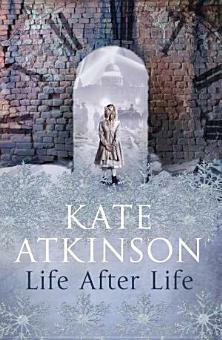 At the moment, I am mostly coveting Life After Life by Kate Atkinson which I think sounds just wonderful, like a literary Groundhog Day. This was mostly inspired by these reviews I saw on Bibliomouse and Lucybird’s Book Blog. 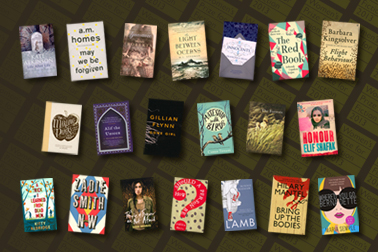 I have also been browsing through the Women’s Prize for Fiction 2013 Longlist which has some titles on it I’d love to read. Most notably, there is NW by Zadie Smith, Where’d You Go, Bernadette? by Maria Semple (which I first discovered through Book Riot’s Best Books of 2012 post), Flight Behaviour by Barbara Kingsolver and of course Bring Up the Bodies by Hilary Mantel (after I have read Wolf Hall of course!). I actually do have a Book Journal that was given to me by my Grannie for my 18th birthday. I used to update it all the time but have now found that all of my bookish thoughts and whims have gone digital. I’m going to dig that out and update it too I think – such a lovely thing to keep! How do you keep track of what you have read, or what you’d like to read? Is it solely through your blog or online reading sites like Goodreads, or *gasp* the Wish List feature on Amazon? Or do you have a journal that you keep? Would love to hear your thoughts – and if you have any suggestions for the Wish List, do let me know!